Sempre tante belle foto, non ne perdo una!! I see dear Jeanne you are ready for fall and I like your fall inspired stylish and cool looks you have have worn! Happy new week! 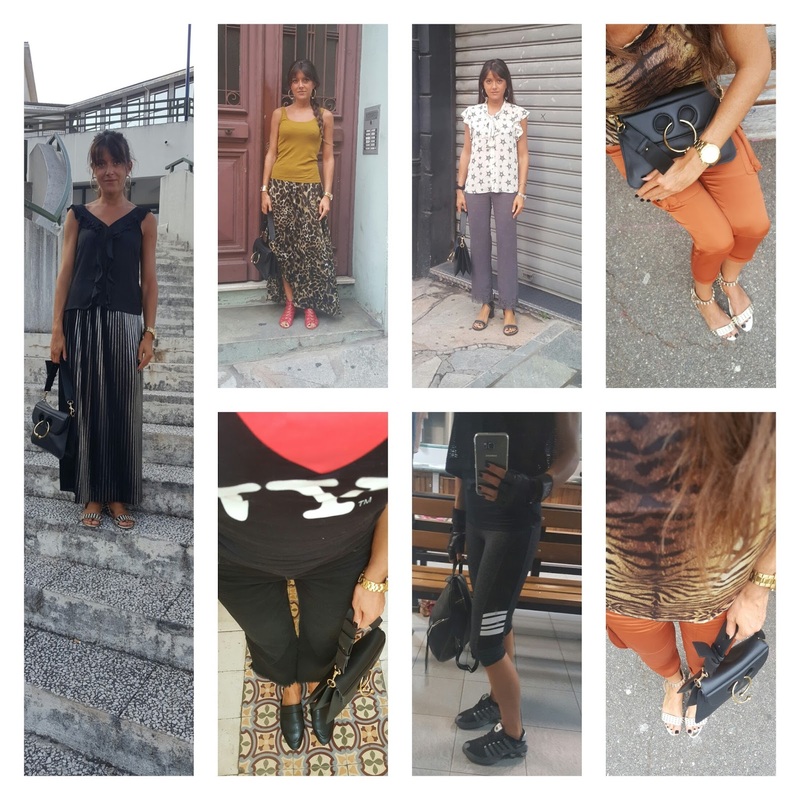 Il look pants arancio e tee stampa animalier mi piace da impazzire.... la borsa TOP!!!! Have a great start of the week bellissima! I love that each look is so different from one another! Your style is super versatile! Love your bag from J.W. Anderson!!! Jeanne, you are always rockin' it!!! AMAZZZZZZZING!!!! And that bag with the ring is everything!!! Really loving your style! It's a mix of French in the '80s and modern girl chic!